My Lackluster Reading Cycle Continues! 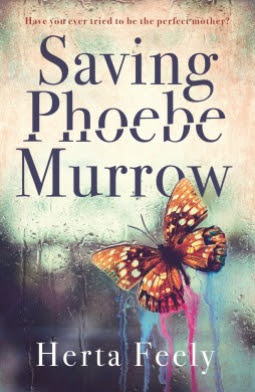 Again…for some odd reason I am attracting a swarm of then and now books…and this one does it without even letting the reader know…I loved this cover but could not even finish this book. Sigh! I almost think I need to take a week long break away from reading. I am not even sure that’s possible but I am not enjoying books lately…or rather my choices. Double sigh! A happy thing in my family is that I have two nieces who are sisters who have just had their first babies about a week apart from each other. The sad thing is that almost everyone in my family lives in a different state from each other! The other sad thing is that the mom of my two nieces died a few months ago. Sad…very sad! But…Olive and Angelo! Welcome to our world! It’s a nasty dreary day here today…Den is frustrated because he can’t work outside and he can’t work in the basement because we have to have it clear for tha AC change over…tomorrow…sigh! I think I am going to read and watch Big Brother After Dark…it’s stupid but distracting. I went through a period of reading like that last year and then I stopped reading what I thought I needed to read and focused on what I wanted to read and things got better. Welcome to the world Olive and Angelo – I'm sure your grandmother is watching over you! I think she is. And I know that's what have to do…I am just tired and I haven't felt well…so I think it all adds up! I haven't been reading as much…too much else going on. I do envy the people who spend a week at the beach with a stack of books on vacation. That's never me! You need to make it you one of these days! Have you gotten a diagnosis, yet? I hope you feel better soon! I dislike reading dry spells, where nothing fits. Do you watch Big Brother? How fun to have new babies in the family. I feel your pain with the loss of reading mojo. It happens… and maybe you need to just look at book titles online, pick one that calls to you and read it, regardless of books you might already have requested or received that are sitting in your house already. Find a fun one and go for it! By the way, welcome to the world little ones, babies are a gift for everyone. Oh, my, I have had reading weeks like that! And one of the books I didn't want to finish, but slogged through, was a review book. Reminding me not to request review books from authors I've never read before. I know, sounds picky, but I really hate getting review books I don't want to read. 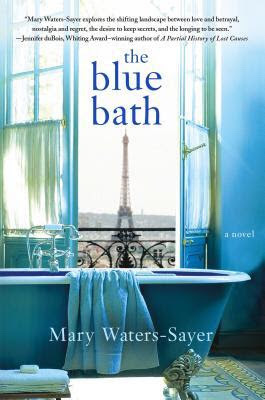 So sorry about The Blue Bath, as I bought that one…and it's on my Kindle waiting. Sigh. Maybe I'll like it, though? I hope your day picked up….I see that you were writing about YESTERDAY, and I'm very late to visit. Didn't go on my laptop after lunch yesterday. Too bad about the recent books. I seem to be on a cycle where I read 50 or 60 pages in the evening and love it, then am not interested when I pick the book up the next morning. Sigh. It's got to get better! I know you are right about the books! No diagnosis yet…I am hopelessly addicted to Big Brother! Sometimes you need to take a break from your beloved hobby. I do that with knitting which is why I have others. Congrats on the new additions to the family.